The Gates Foundation has given the UW its largest donation ever to build a home for a new initiative to improve global health. A bold initiative by the University of Washington to improve the health of all the world’s people is getting a big boost from the Bill & Melinda Gates Foundation, which is writing a $210 million check to build a home for the project — the largest single donation the UW has ever received. 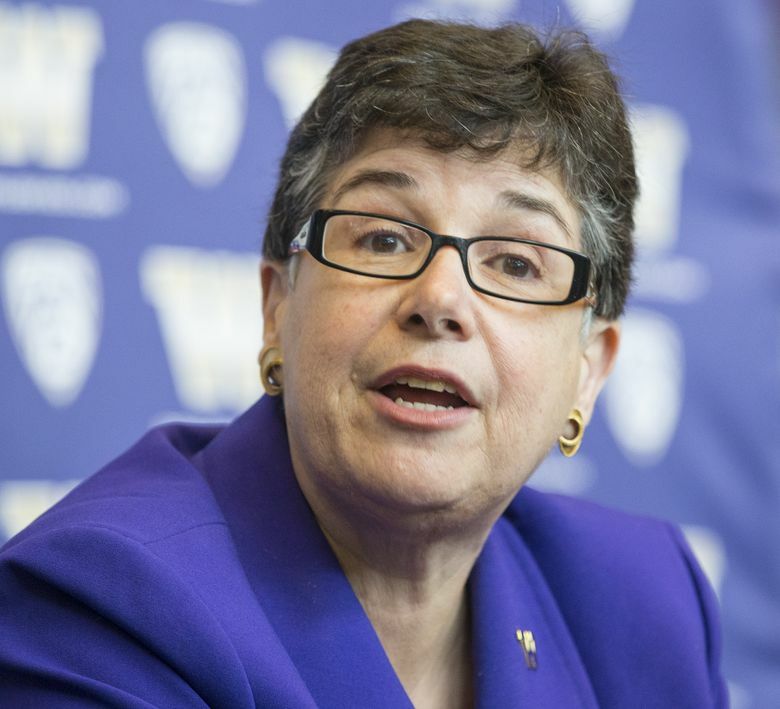 The new building will house many of the players in the UW’s Population Health Initiative, announced in May by UW President Ana Mari Cauce and envisioned as a major focus of the UW’s faculty, researchers and students for the next 25 years. Virtually every college and department at the university is expected to play some kind of role. Cauce believes we are at a point in history when research, big data and technology can all come together to diagnose the health of an entire community and write a kind of prescription that will improve the well-being of everyone living there. What has made that possible? The availability of data and better tools to analyze it is key. “Big data allows us to diagnose the health of communities, not just individuals,” she said. The initiative recognizes that a person’s health is influenced by wealth (or lack of it), access to health care, exposure to climate change and the influence of local government policies — all studied and taught at the university. The health of a community is typically considered the domain of schools of medicine and public health, but this initiative will include the UW’s Computer Science & Engineering department, the Foster School of Business, the College of the Environment and the School of Social Work, to name just a few, said Ali Mokdad, director of Middle Eastern initiatives, professor of global health for the UW’s Institute for Health Metrics and Evaluationand vice chair of the initiative’s executive council. For example, successful businesses must often solve complex world problems to thrive — think of how soft-drink companies manage to get cold drinks into the hands of people in small towns around the world, Mokdad said. Those drinks are sold in refrigerated vending machines. Distribution and refrigeration also happen to be keys to successfully getting a vaccine to remote areas. “We have a lot to learn from the business model,” he said. Health is also influenced by urban planning and architecture, Way said. For example, most multistory buildings put elevators in a prominent place and hide the stairs. “If you walk into a building with a beautifully designed set of stairs, and the elevators are out of sight, a lot more people will take the stairs without even thinking about it,” she said. Little design tweaks like that can help nudge people toward better health habits, she said. What might the Population Health Initiative’s work look like? The IHME’s report found that Saudis were eating more fast food, exercising less and smoking more. “We showed clearly that chronic diseases were increasing — they were spending 15 to 20 percent of their budget on diabetes,” Mokdad said. As a result, the kingdom increased health screening, put nutritional labels on fast food, passed regulations to reduce the salt content of manufactured food and raised taxes on tobacco products, among other actions. The IHME is now working on outdoor air pollution in China, indoor air pollution caused by cookstoves in Rwanda and a multitude of other health concerns in India, Brazil and Mexico. “It’s not only the absence of disease — it’s well-being,” Mokdad said. “We want people to flourish.” He said there’s always room for improvement — the average life span of a Japanese woman is 86.6 years, for example, five years longer than an American woman. The health initiative’s work will be as local as it is global, Cauce said. Looking at health metrics within the state of Washington — even within King County — reveals pockets of disease that could be addressed with broad interventions. And there is often an intersection with race, class and gender, she said. For example, Way said, many low-income areas are “food deserts,” where residents don’t have easy access to fruits and vegetables. Those areas often lack safe, well-designed sidewalks to encourage people to walk and exercise. Children living there may suffer from asthma because of higher rates of air pollution, and missing school days can drag down academic performance. All those things come together to increase the chance of disease and other health issues. Cauce outlined the broad work of the initiative in May, but many believed that for all of the different departments to work together, the UW needed a new building. “The building is a catalyst for this larger vision,” Cauce said. “I think one of the things that’s really key to this is bringing people together, and it’s a lot harder to do when you’re renting space all over the city.” IHME, where Mokdad works, is in Belltown. The building site hasn’t been selected, but it will be at UW Seattle, and the site likely will be approved by the UW Board of Regents in March, said spokesman Norm Arkans. The UW is raising an additional $20 million toward the cost of the $230 million building, which will be between 265,000 and 290,000 square feet. The UW is uniquely positioned to tackle global health, Cauce said, because of all the entities already working on the issue in Seattle, including the Gates Foundation, the nonprofit PATH and the Washington Global Health Alliance (PATH and the health alliance also receive Gates funding). The UW is also one of the largest recipients of federal grant money for research in the country, and has one of the largest, most comprehensive biomedical research programs in the world. Way said the project has been in the making for about 20 years, when professors and department heads began talking about bringing many disciplines together to make a global impact. Way said she has often imagined the university becoming a place “where we come together around questions and challenges, rather than disciplines,” she said. Cauce had been president for about seven months when she decided to act on that larger vision shared by others, Way said.